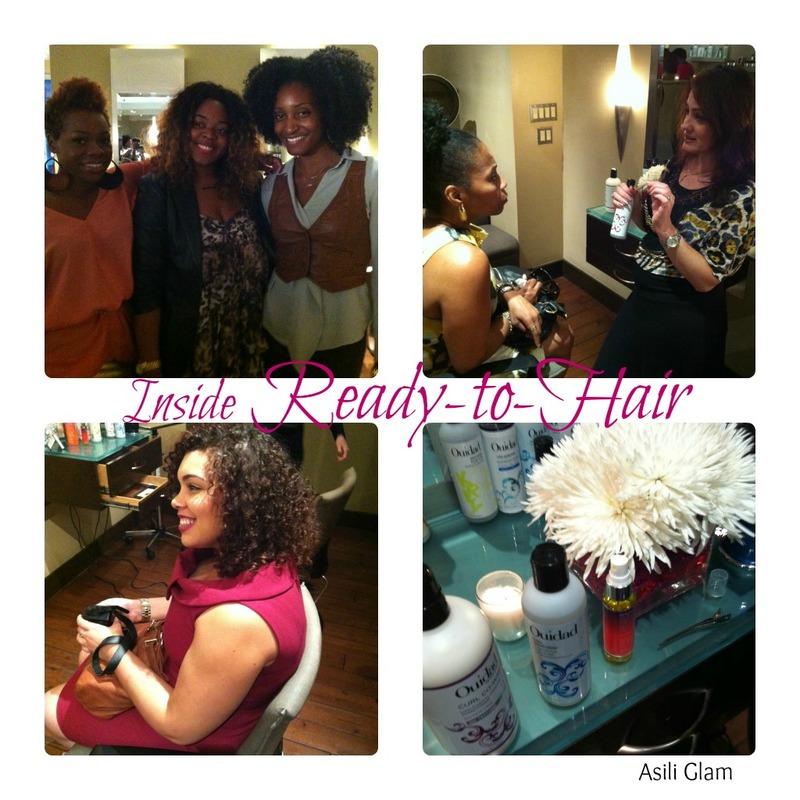 INSIDE THE curlBOX + Ouidad Ready-to-Hair event! I know I’ve been a little quiet on the blog lately! I was actually away on vacation for about 10 days! I was on the west coast in LA & Vegas doing some much needed unwinding, catching up with old friends and relaxing! 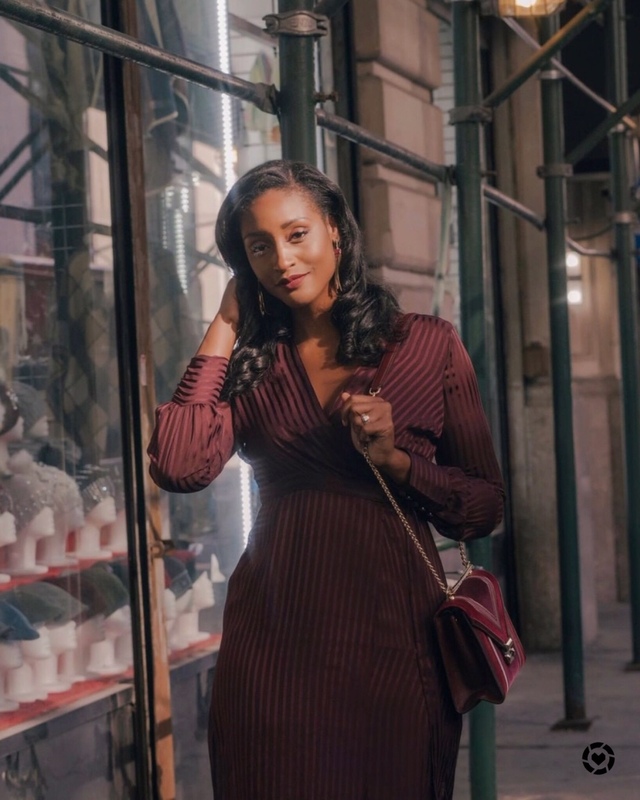 Fast forward to this week, and I am back in full force with the inside scoop of the Ready-to-Hair event that took place on Wednesday! 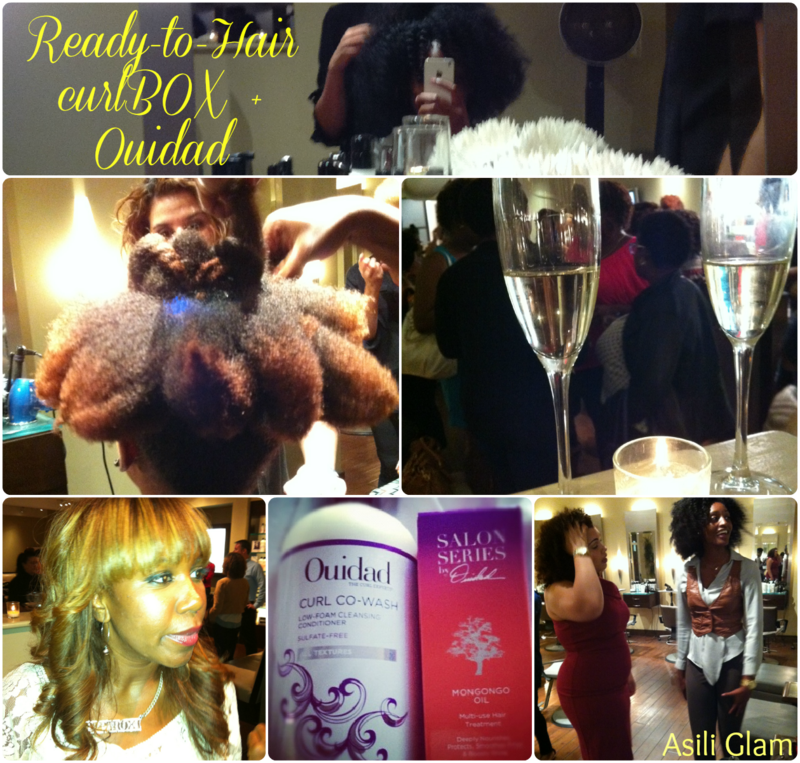 This was a private post fashion week event hosted by curlBOX creator Myleik Teele and Ouidad’s Curl Experts. We sipped champagne, enjoyed delicious hors d’oeuvres, indulged in a pampering mini hair appointment and left with a very LUX gift bag! 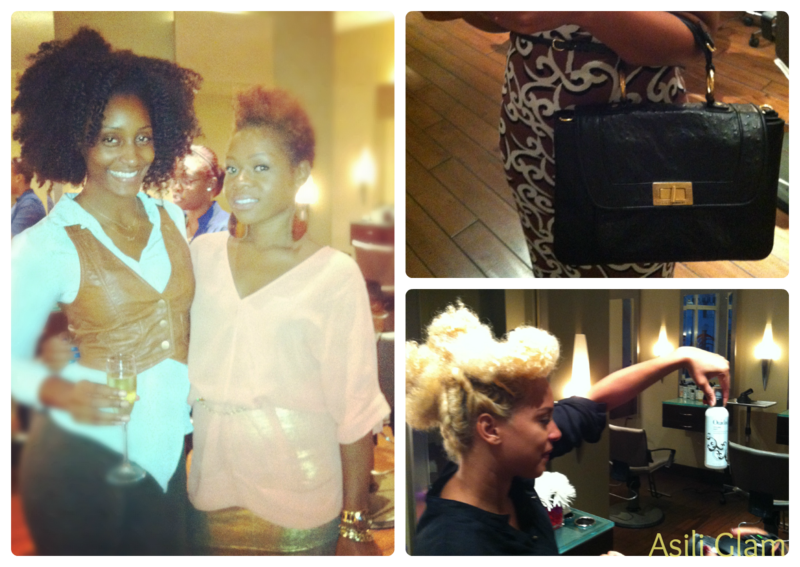 The event was held in midtown at the very swanky Ouidad Salon. All my favorite curlies were in the building! Fun times! Check out the pictures of the event below! Kicking it with the host, curlBOX creator, Myleik! Her energy is AMAZING! I cannot wait to try these!! Review coming soon….. Thanks to the wonderful team at Ouidad & Myleik for hosting such a fun event! 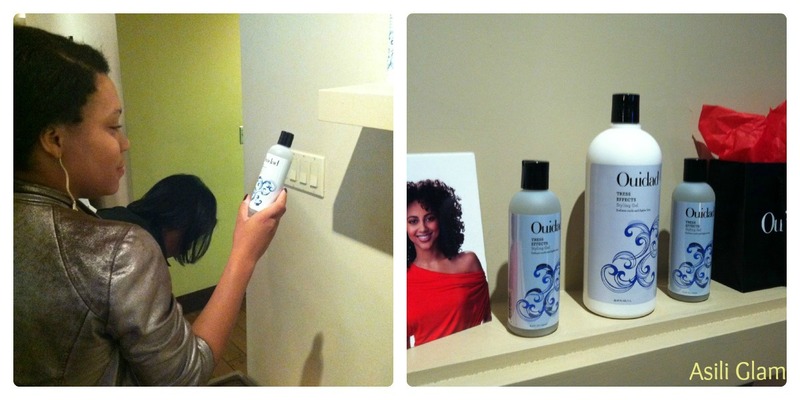 Have you beauties tried any of the products produced by Ouidad? What do you think?